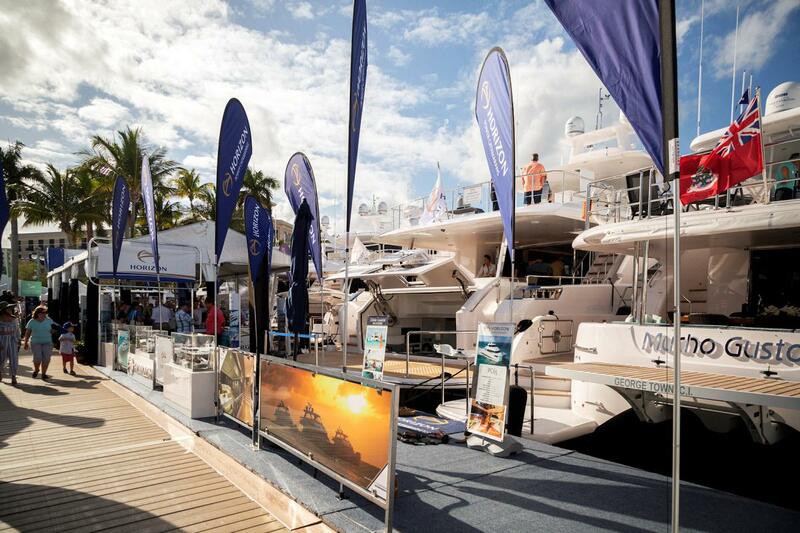 New builds, new models, and endless ingenious amenities attracted the attention of the global yachting industry and clients alike during the four-day show. 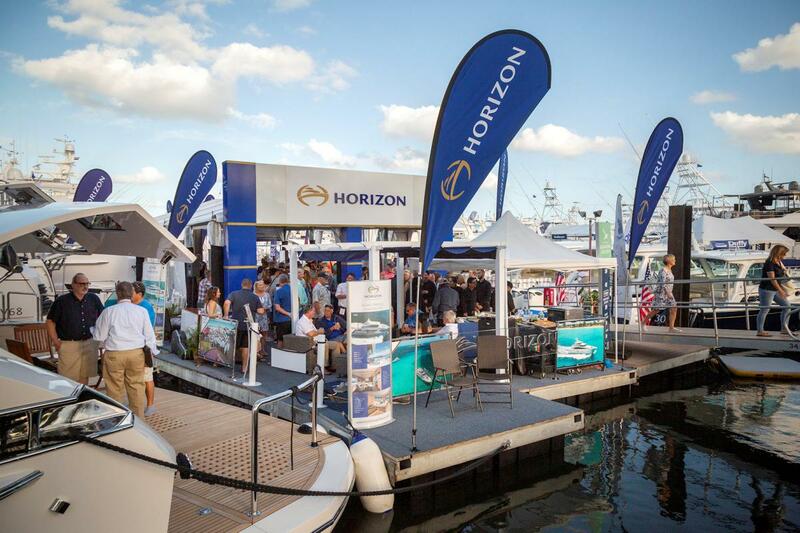 The Horizon Yachts Showcase was the place to be during the 2019 Palm Beach Boat Show. 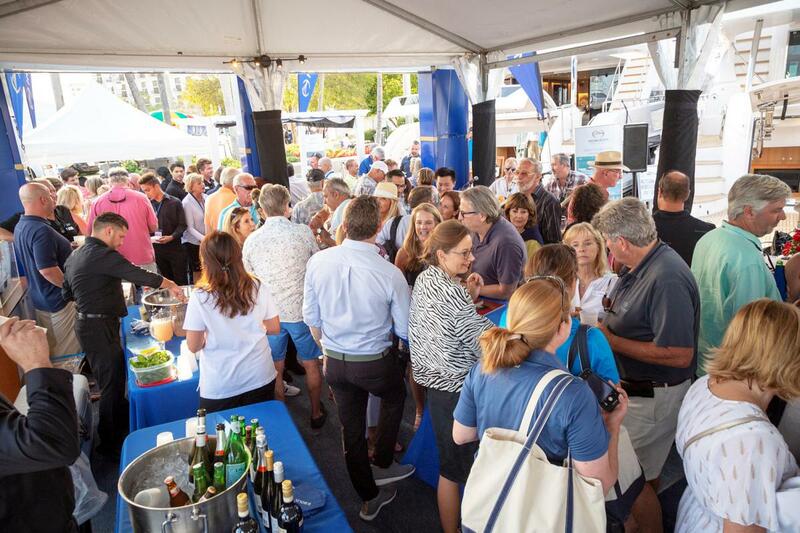 For four sun-filled days, the Horizon stand was bustling with world-renown designers, international journalists, and prominent yacht brokers with clients in tow. The buzz centered around not one, but five fabulous Horizon yachts gracing the display, which included the brand new FD87, unique V68, and debuting FD77 model. Making its global debut, the FD77 is the latest model from the Cor D. Rover-designed Fast Displacement Series, which has seen tremendous success and record sales since it was first introduced just over two years ago. Customized for the U.S. market and offering the same impressive space and expanses of glass as the larger yachts in the FD Series, Hull One of the FD77 was noticed for its well-planned layout and option for crew if desired. 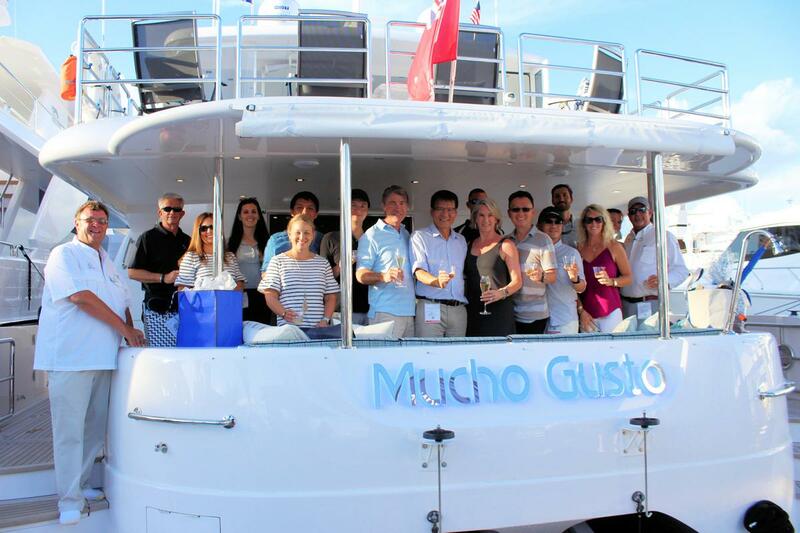 The yacht’s on-deck master stateroom, beach club, bridge deck bumpouts for docking, and pre-plumbed option for a Jacuzzi tub were among the numerous features that had visitors talking. Docked in a prominent position alongside the entrance to Ramp 1, the new FD87 captivated show attendees with her head-turning profile, impressive beach club and voluminous interior design. Even more exciting, this yacht was delivered to her new owners on the second night of the show. 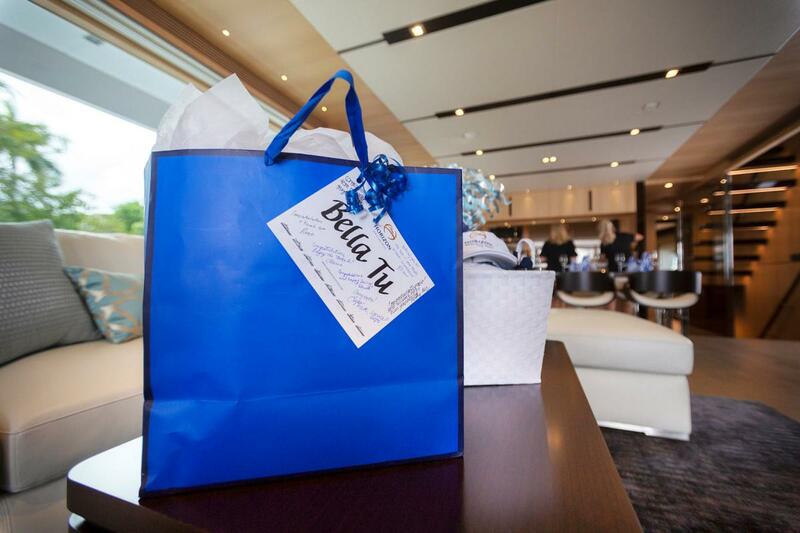 Attended by the owners, Horizon’s US and Taiwanese management teams, journalists, yacht designers and special guests, the christening ceremony of the new Bella Tu was followed by a cocktail celebration featuring live music, passed hors d’oeuvres and specialty cocktails, including Taiwanese beer imported specifically for the occasion. 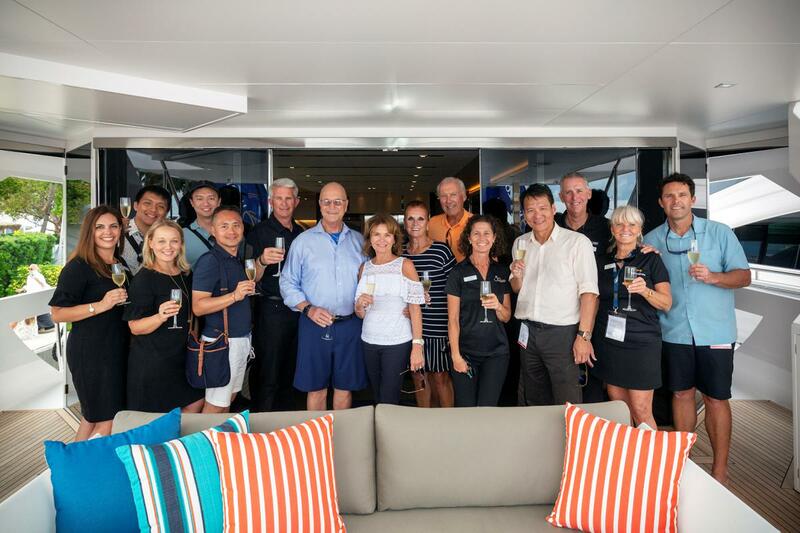 On the third evening of the show, another set of owners celebrated the christening of their new yacht at the Horizon display. 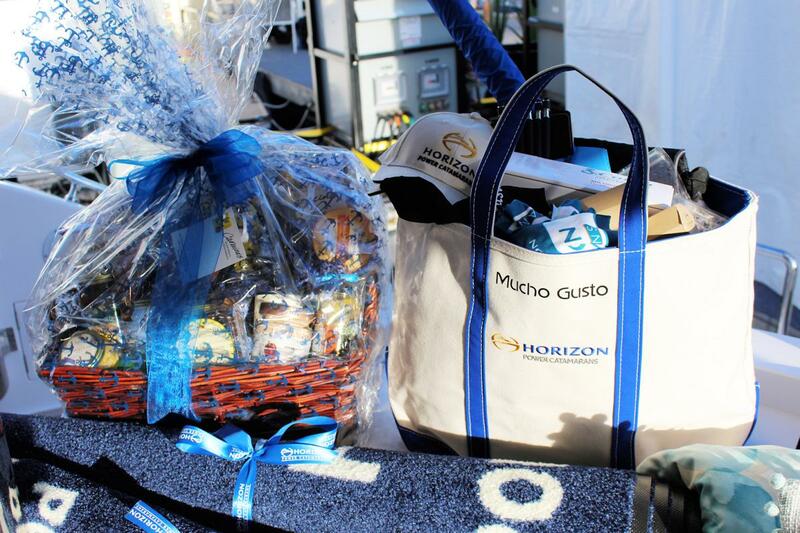 The new PC65 – now named Mucho Gusto – is the second Horizon Power Catamaran for her owners. Horizon’s Palm Beach display showcased the builder’s wide spectrum of yacht styles and endless opportunities for owner customization. From the Jonathan Quinn Barnett-designed V68 with its impressive volume and spacious beach club, to the new E88 with an enclosed skylounge design, visitors were easily encouraged to begin visualizing the layout and amenities of their new Horizon yacht. 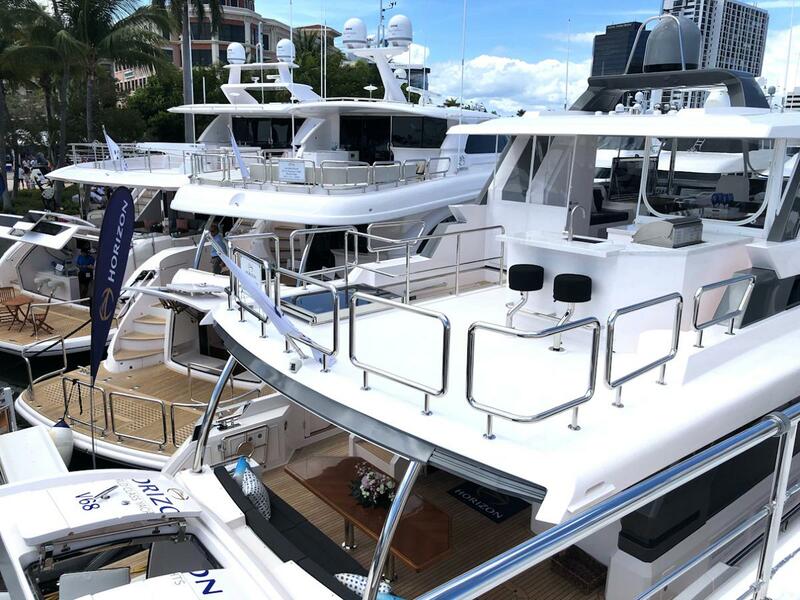 Horizon preferred brokerage partner Yacht Connexion also had a showcase of pre-owned luxury Horizon yachts on display nearby, further demonstrating the depth of offerings and building strength that the award-winning Taiwanese builder provides.